Replacement flexible vinyl flanges. Allows for installation of Bat Cone on virtually any surface. Not every home has smooth exterior surfaces. Some have vinyl siding, others have cedar shakes, and still others might have stucco or another type of surface. When you need to exclude wildlife from your home –which means that you have some animals living in your house, whether they are in the attic, a crawl space, or the walls, and you want them out without having to call an exterminator- the Batcone exclusion system is the most effective and safest way to achieve this goal. 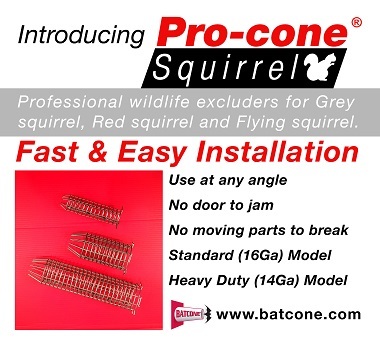 While the Batcones are effective –with a patented design system that allows animals such as bats, sparrows, starlings, squirrels, chipmunks, and other small rodents to exit the home but not get back in- they are only effective when they form a close bond to the surface of the home. If you close off access to an animals lair and watch them try to get back in, they will circle around the area that they know was once their ‘front door’, so to speak. If there is any way for them to get back in, they will find it and exploit it. This means that if the Batcone is not flush to the wood, siding, or other area of the house where it is placed, then there will likely be a small gap between the house and the Batcone. While this gap may seem far too small for an animal to squeeze through, it is quite amazing to see how these creatures can force themselves through those narrow passages. That is why using the vinyl flange is the best answer for those uneven surfaces. There is absolutely no point in purchasing a set of Batcones, going through the effort to install them, but approaching the whole task with a ‘good enough’ attitude. When it comes to wildlife exclusion, there is no such thing as ‘good enough’ if it doesn’t keep the animals out. The only proper technique is to ensure that there is no possible way, no gaps left behind, that the animals can gain entry back into your home. Those animals found your home appealing and in the outdoors, especially in developed areas where open space is hard to find, many animals find themselves exposed to the elements, predators, and other dangers and will be determined to find a way back into your home. If there is one, and even if it’s narrow, they will likely find a way to get back inside. Using the vinyl flange wherever you place a Batcone along your home’s exterior, where the animals are currently gaining entry, will ensure a tight seal to the house, thus eliminating the possibility for those animals to get back inside. Wildlife exclusion is the humane and effective way to get rid of animals from your home, but it will only be effective as long as you understand that any and all gaps that exist into the home must be closed off and that includes those surrounding the Batcone on an uneven surface. Use the vinyl flange if you have any doubts and you will ensure successful exclusion. 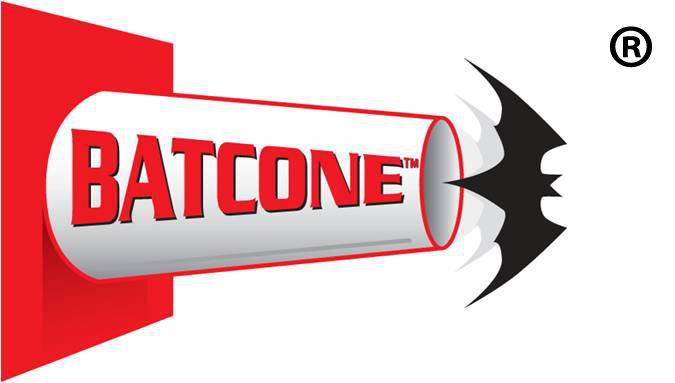 If you need additional help, please contact a Certified Batcone Installer in your area.